UPDATE 02/22/2018: Short on time or low on energy for creativity? 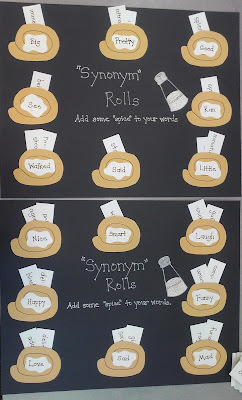 I now offer a printable version of this resource here in my TPT store! 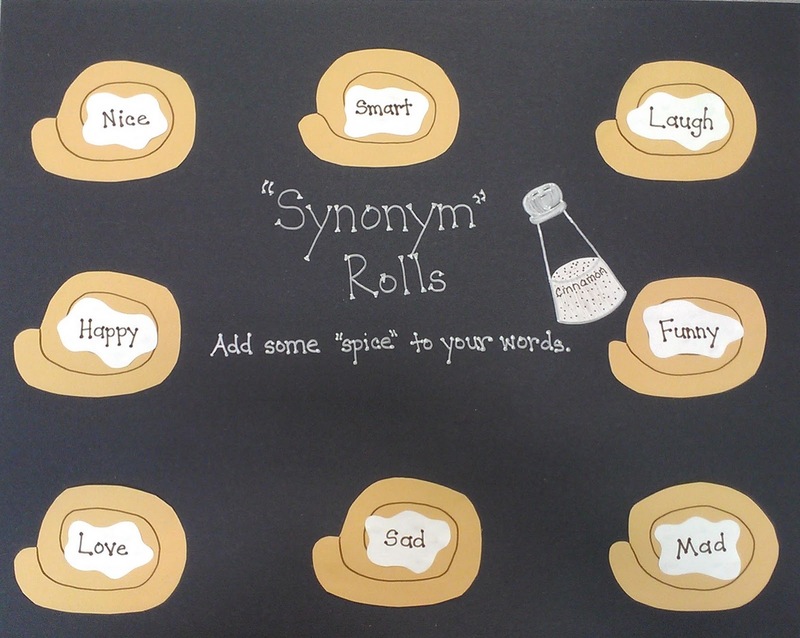 I decided to make the original "boring" word the icing on the roll, because I thought it dressed up the idea a little bit. Each "synonym" roll is a pocket in which to store synonyms. Now students can select words from the pocket when they need to "spice up" their word selections. Of course, I teach reading, so I have other plans for it, too. 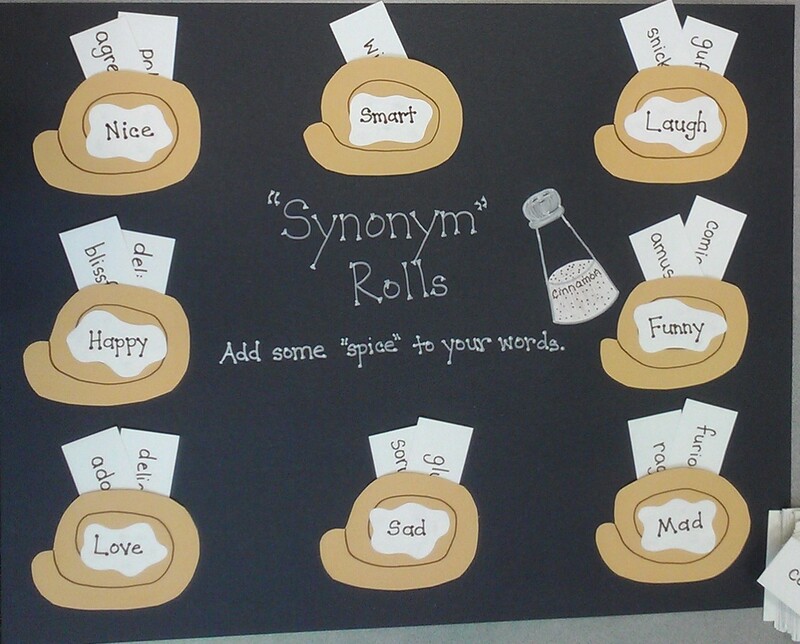 I'm going to use it as a game by taking all of the cards out and having students sort the synonyms. 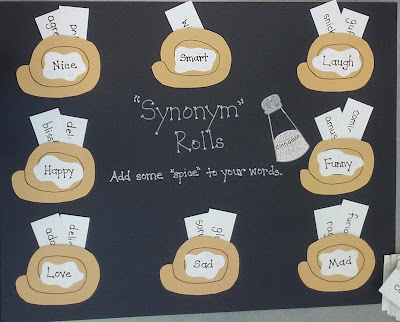 This will help their reading comprehension as they learn all of these new words. I came up with 16 overused words, and it was too crowded on one poster board, so I actually made two boards. I will either switch them out from time to time or just have two groups doing this project at once. I just think this looks so cute; I can't wait to have my students try it out next week. Here's an adorable Christmas wreath I came up with a while back. I absolutely love this project and the finished result. I made this before I started blogging, so there are no step-by-step pictures, but it's pretty straightforward. 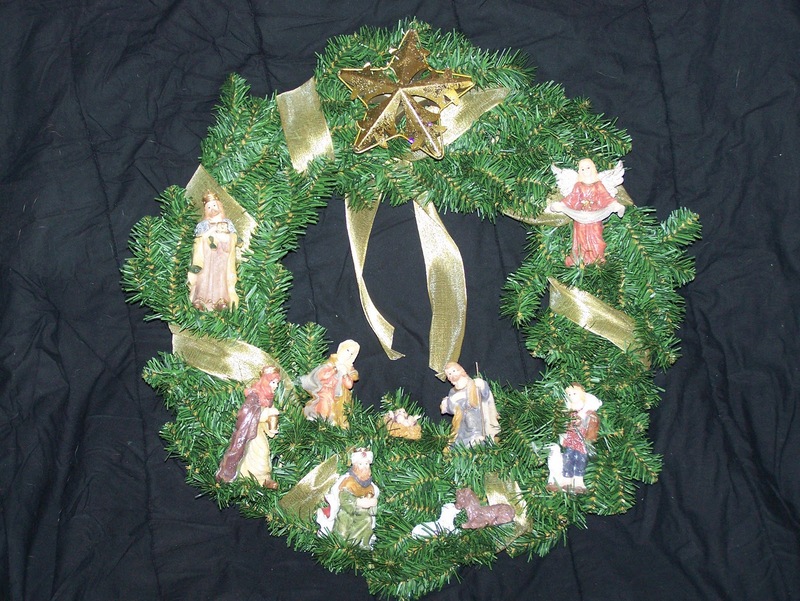 Start by wrapping the ribbon around the wreath, securing in place occasionally with hot glue. Glue the star ornament on the top.